People spend more time on their phones than ever before, and it’s a great opportunity to reach your customers. 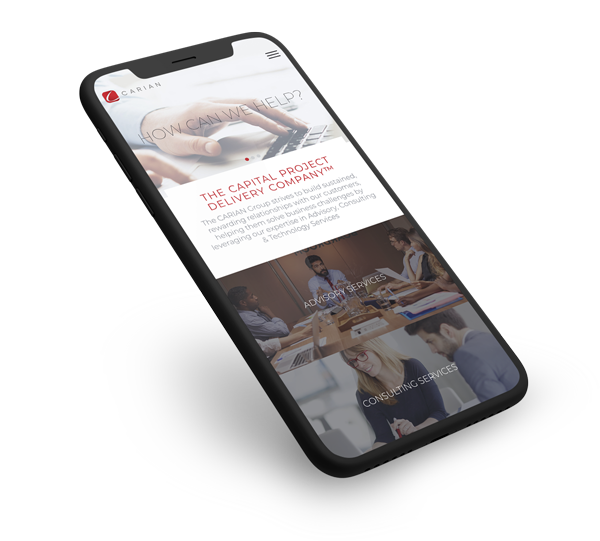 Our team builds custom responsive websites that work on all devices, and we also develop custom mobile applications so you can interact with your customers in any way you choose. More people browse the web on mobile devices than on laptops and desktop computers – so it’s important that your website looks amazing on any screen size. And because there are so many different sizes of phones and tablets, simply having a separate “mobile” website isn’t enough to ensure a smooth user experience. Every website we build will scale to fit the user’s device perfectly, no pinching, zooming, or re-directing necessary. We can build a custom mobile app that allows you to connect with your customers in ways you never knew possible. Your customers can book an appointment, place an order, leave a review, or contact you with just a couple of taps – and you can get an in-depth look at how they interact with your application.